The vacation meant that I finally had time to catch up on the Prison Reform Trust’s admirable Bromley Briefings Prison Factfile for Autumn 2017. I have always thought that any alien landing on our planet would regard as insane our use of incarceration to deal with most malefactors, especially in prisons like those in Britain which expose inmates to terror, danger, toxic levels of boredom, and being deprived of supportive relationships and opportunities for self-improvement. As a society we excel at producing criminals, the usual culprits being poverty, lack of education, and our orphanages: 31% of women and 24% of men in prison were brought up in ‘care’. But we are catastrophically bad at helping them become more constructive citizens. The Factfile shows how things continue to deteriorate. 49% of adults reoffend within a year. The summer saw a surge in the prison population to more than 86,000. Only 1 in 20 people in prison are on even the basic level of the incentives and earned privileges (IEP) scheme. The number of frontline operational staff employed in the public prison estate has fallen by 23% in seven years. Members of ethnic minorities are 81% more likely to be sent to prison for an indictable offence at the Crown Court. Etc. etc. Then there is the gender issue. A staggering 83% of women entering prison under sentence have committed a non-violent offence. In my idea of a sane society, hardly any of them should be in prison in the first place, rather than a rehabilitation system, or community service. There is only one circumstance, in my view, where confinement in prison needs to be obligatory, and that is where a proven perpetrator, if at liberty, presents a real and present physical danger to other people. 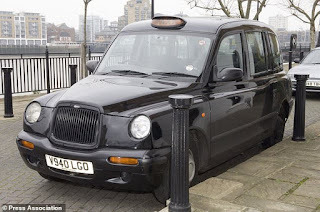 Despite my radical scepticism about the efficacy of imprisonment, I am finding it very hard to feel confident that John Worboys, convicted in 2009 of multiple vicious, cynical, premeditated sexual assaults on women in his black cab, is no longer capable of sexually motivated violence, whatever the Parole Board has decided. The issue here is the notorious IPP (Imprisonment for Public Protection) sentence, inaugurated in 2005, and designed for offenders who posed a serious threat to the public but whose crimes could not be given a life sentence. Far too many IPPs were imposed, and the system was discontinued. But the Parole Board is now desperate to release IPP inmates, having been left with a backlog of over 10,000 prisoners (14% of the prison population) who do not know whether, or even if, they will be released. I am certain that many of those 10,000 IPP inmates have no place behind bars. But, surely, John Worboys and others convicted of repeated incidents of sexual violence should not be at the front of the ‘exit’ queue. There is just one cause for optimism in this dismal case: it has got people talking, which rarely happens, about the actual purpose of our hopelessly anachronistic, brutal and creaking prison system.